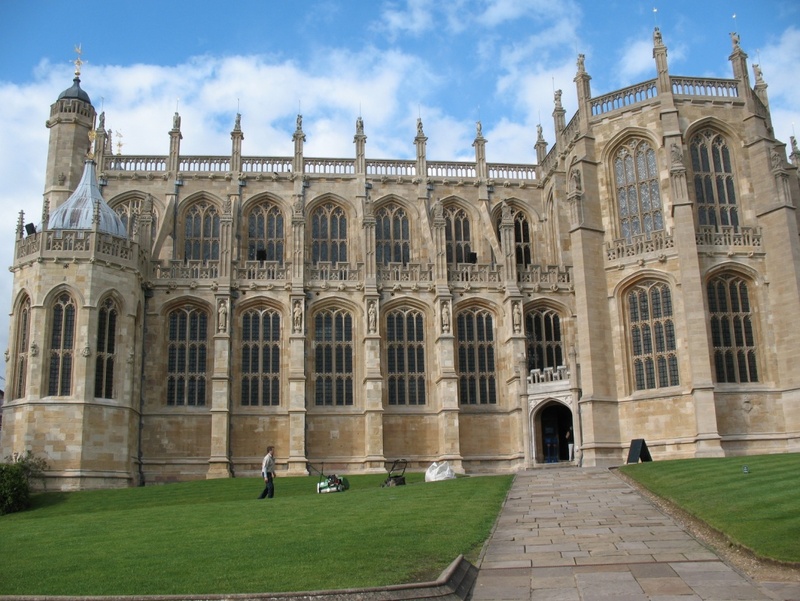 For those who have read both LADY OF ASHES and STOLEN REMAINS, you know that Windsor Castle is a large royal residence where Prince Albert died on December 14, 1861. Today it is the preferred weekend home of Elizabeth II, but Queen Victoria thought it gloomy, much preferring her seaside retreat of Osborne House on the Isle of Wight. Windsor Castle is a large, sprawling complex , divided into three “wards”: Middle, Upper, and Lower. The original castle was built in the 11th century after William the Conqueror’s invasion. Henry III built a royal palace on the grounds in the mid 13th century, and more building projects went on in Edward III’s reign, including St. George’s Chapel. The Tudors made use of Windsor as a royal court, and later the Roundheads used it as one of Charles I’s prisons as well as a military headquarters. Charles II made further improvements on Windsor, fixing Cromwell’s destruction and creating Baroque interiors, but the castle soon went into a period of neglect. George III and George IV rebuilt much of Windsor Castle at colossal expense, turning it largely into what tourists see today. So, ironically, although the castle and its grounds look as though they have been untouched since William landed in 1066, it is truly a place that has evolved over the centuries. St. George’s Chapel is located in the Lower Ward of the castle (and literally, it is down the hill from the state apartments, lower than everything else). The Chapel was a popular destination for pilgrims during the late medieval period. Prince Albert lay waiting at St. George’s Chapel for nine days. Even though it was December and certainly not hot out, nature quickly took over and Albert’s body began to rot while the funeral waited for relatives and heads of state to arrive from other countries. 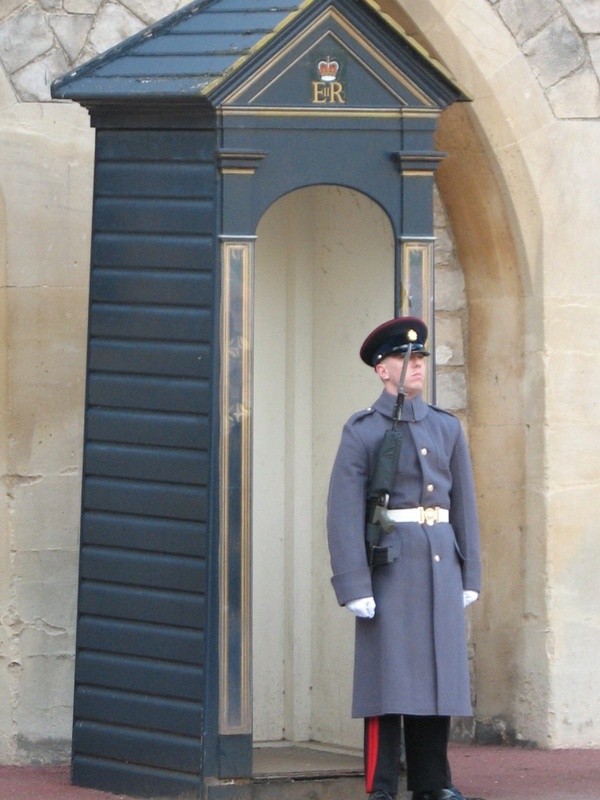 Despite a profusion of lilies placed around the coffin, the guards standing at the four corners of his coffin had to be changed out every hour. Poor men. They were all Grenadier Guards, the most senior regiment of infantry in the British Army, a group which had seen action in the Crimean War, but the putrefaction was too much for them and they had to be change out every hour or so lest they collapse. Albert was buried in the chapel, but Queen Victoria got right to work on building a mausoleum at nearby Frogmore for her and her beloved Albert, and the prince was reinterred there in a year later, with Victoria joining him in 1901. 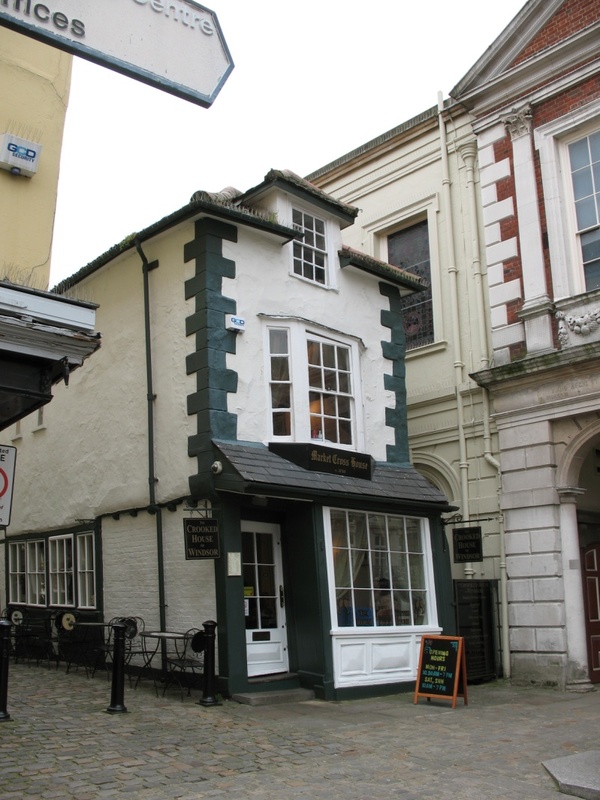 Just a couple of blocks away from Windsor Castle was this adorable tea room, the Crooked House of Windsor. Jon and I managed to snag the table right next to the upstairs bay window. It was an aptly named place, with this photo not doing justice to the unevenness of the building, which was built in 1687 using unseasoned green oak. Alas, it is no longer a restaurant, but is instead an event catering firm.